“We were scum, trash, refuse that didn’t fit into the system – until someone had the bright idea of recycling us to serve science,” says Robert Pattinson's protagonist in the new trailer for Claire Denis' High Life. It almost sounds like something his character from Good Time would say, without the whole recycling bit. 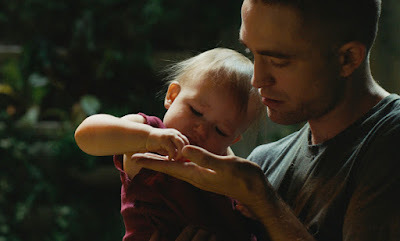 Debuting to great buzz on the festival circuit last year, High Life casts Pattinson, Andre Benjamin, and Mia Goth into a dark, sensual look at the great beyond. Pattinson plays Monte, a convict whose shot at redemption gets him sent into deep space on a dangerous mission to a black hole in hopes of finding a new energy source. As if that wasn't already a pretty terrible predicament, the arrival of Dr. Dibs (Juliette Binoche) takes the "worst-case" scenario to an all new level as she subjects Monte and the other convicts to bizarre fertility experiments. High Life hits theaters on April 12th.